Shimada Aki and Akaki Naomi are best friends since their childhood. Shimada is tricky and won't be serious with anything that's not fun or profitable to him unless provoked; Akaki, on the contrary, is straightforward, more caring and dull. However both are talented at fighting (bullying). 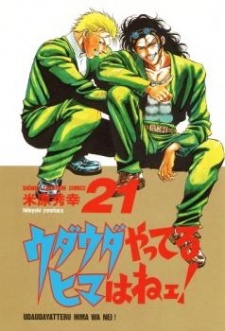 This manga is a comedic and fun story of the careless high school buddy's accidental fights that makes them known to all Japan's scary and influencial gangsters. Adaptation: Udauda Yatteru Hima wa Nee!